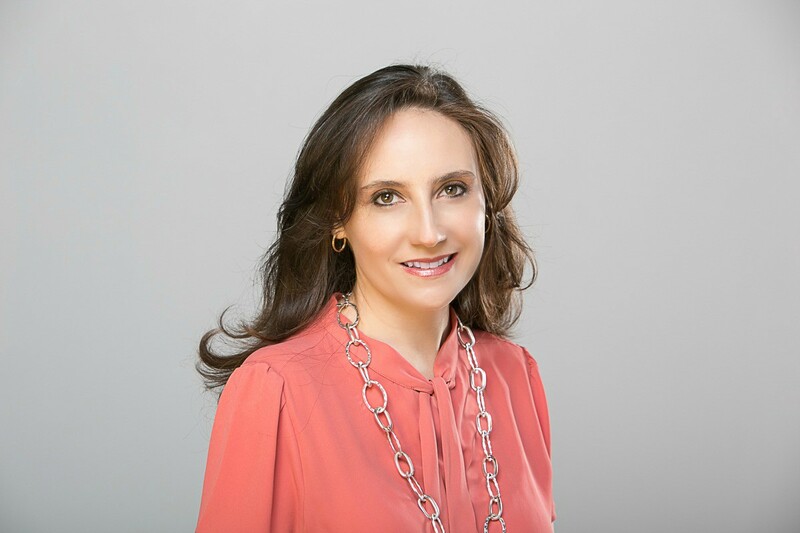 I had the pleasure of interviewing Dr. Carolina Castaños Ph.D. Dr. Castaños is an award-winning Clinical Psychologist with 20 years of experience, and a Ph.D. in Marriage and Family Therapy. She is renowned for helping individuals, couples and families heal from past trauma, find different and better ways to connect with others and lead more fulfilling lives. Dr. Castaños has extensive post-doctoral training in specialized treatment with trauma and relational issues based on cutting-edge research on neuropsychology. Dr. Castaños is a member of the American Association from Marriage and Family Therapy, American Psychological Association, and the American Society of Clinical Hypnosis and conducts sessions in English and Spanish. I am a bilingual, award-winning Marriage and Family Therapist with 20 years of experience and a Ph.D. in Marriage and Family Therapy. I’ve helped couples, families, and individuals heal from past wounds, and guide them to establish safe, deeply connected relationships. I also help couples that are stuck in negative cycles with issues such as difficulties communicating, loss of passion, disconnection, and infidelity. As well as individuals with issues such as anxiety, depression, low self-esteem, anger and PTSD. I didn’t always know I’d be a therapist, but I did see early on how trauma and pain could shape a person’s life. This led me to become active in making a change for people in communities all over the world. My parents were Human Rights activists in Bolivia, heavily involved in movements against Bolivia’s dictatorship during the 70’s. When my parents received a tip from someone that the Bolivian government was after them, they fled to shortly to the US. Later, my father moved the family to Mexico where we lived for a few years before returning to Bolivia. Upon returning to Bolivia, I witnessed a level of poverty that surprised me. Many children lived on the streets and had suffered a great deal of trauma. It was then that I decided to develop a program that would take these kids and get them involved in the arts, in an effort to keep them off the streets. As a high school student, I started thinking about ways I could make a major difference and that’s when I decided she would become a lawyer, but soon I realized due to Bolivia’s corrupt government, becoming a lawyer would require me to become a part of the problem and not a solution. So, I felt the best way to make a more significant and more immediate impact in children’s lives was to study psychology. After high school, I moved to Chile to attend Gabriel Mistral University. Post-college, Carolina landed a job in Human Resources for computer company IBM, where I gained a better understanding of business relationships and “relationships within an organizational system.” At 30 years of age, I began my Ph.D. program in Human Development with a specialization in Marriage and Family Therapy. Can you share the funniest or most interesting story that happened to you since you started your career? Yes, I’ve just launched an interactive program designed to help people overcome heartbreak, called MovingOn. The 14-week program provides weekly videos available on-demand on any device. Following each video, users complete an exercise and receive personal feedback from myself to help them through the healing process. This program also gives user 24/7 access to experiential exercises to help regulate emotions and feel better. Sometimes we get stuck with the symptoms, what is not working, and diagnosis. This can limit our perception and leave us in a hopeless place along with our patients. Look for the positives, for what is working. Believe in change and be the hope they do not have. By being that non-judgmental and caring support, our relationship becomes a therapeutic resource. This experience is healing and it’s important to make it explicit, so they can also realize that they are not alone, they have you and with their effort and your guidance, they will get through this. I used to work for a school as the “In school clinician” I went and worked with all the kids that were determined to be “at risk children”. This diagnosis meant that these kids were most likely to drop out of school by middle school and would end up doing activities that are not helpful to society, kids that were thought to eventually break rules and end up in jail. Not a good prognosis. One of my referrals was Jim, a 9-year-old boy. The principal, the school counselor, and the teacher did not know what else to do with him. He was described as “the next Virginia tech shooter, he was mean, aggressive, cold hearted, with no feelings” and diagnosed with ODD (oppositional defiant disorder). This boy used to beat other kids and would not comply with any rule. Nobody knew what to do with this child. There was no hope for this child nor for those in charge of his education… everyone was hopeless. As I listened to the description of this child’s behavior, my heart hurt. I wondered what happened to this child for him to have to be so defensive and reach this point. I believe that there is no child that is born mean. I started working with him removing all diagnosis from my mind. I connected with him. At the beginning he would not talk, but slowly he started sharing what he liked. Great! A place for me to connect. We listened to music together as he shared how he lived at home and how he was disciplined constantly, how he felt unloved and completely alone. We met every day for a month. We played, we laughed, we played with mini skateboards, his favorite. I saw him, and honestly, loved him. He was creative and a leader. I also met with his mother and helped her learn different ways of educating her son, so they were able to start connecting. Jim was one of several kids I had who were diagnosed with ODD. I created a group where each one of them had something special to give. We thought of making a play where each had a responsibility and a role. I saw who they were and found what they were good at and let them know and experience that they could do so much. Jim was the director. Two months after we started working together, the teacher approached me and asked me what I did. How was it possible that in such a short period of time I could turn around this child? He now payed attention in class, he did his work, he stopped bullying… they could not recognize this new child… what did I do. My answer “I believed in him… I saw him, loved him, and helped him see himself”. Some months later I needed to leave as I was moving to a different state. This “cold” child, gave me a hug I will never forget. Two people come to mind: my husband and my mom. My husband believed in me and helped me, supported me, and encouraged me throughout the way. I came to the US with a year-old child looking to improve my education and be a better clinician. My master’s degree did not help me answer questions I had regarding the complexity of human relationships. I began looking for classes I could take and found a PhD in Marriage and family therapy. I fell in love. That was exactly what I wanted to learn. I contacted the director of the program and asked if I could attend simply to learn. I could not afford a doctoral program and did not care about a title… I wanted to be the best clinician I could be. He said that if I felt that way once I was done with my master’s program, to call him. A year went by, I felt the same way. I reached out and was asked to send my resume and then to go talk with him. To my surprise, in this meeting there were 4 PhD professors. At the end of this meeting, the director of the program said that they might have a space for me in their doctoral program (which started 1.5 months later). I was in disbelief! Two months later, as I began my doctoral program, I learned that I was pregnant with my second child. Her birth was difficult and her first year was even harder. I did not know anyone and had no support system other than my husband. Finishing up all my classes, writing my preliminary examination, defending it to become a PhD candidate, and working 20 hours per week was extremely difficult, but my husband helped me through these times. By this time, we had to move to a different state due to my husband’s job. Now I only needed to work on my dissertation… and I got pregnant with my third child. This pregnancy was easier. I went through the research, writing, and defense process. I remember going to my graduation ceremony with my 6-year-old, my 3-year-old, and my 3 week old children. This was one of my most precious times! Some months later, I received a letter from the American Association of Marriage and Family therapists congratulating me for winning the best dissertation award. The cherry on the cake! My mother has been a teacher of what is important in life. Her father was an outstanding educator, one who changed the way of understanding education in South America. I learned about my grandfather’s achievements through my mother at a very young age. These teachings, her way of looking at the world, our conversations filled with questions and different ways of looking at things, helped me allow myself to dream big, to let this inner energy I have to make good, to help others live better lives, to help children not suffer, parents to be better parents, better lovers, better to themselves. I am still not where I want to be. I still have not had the impact I want to make in the world, but I am on my way and every day, with every client, every friend, every individual that crosses my road, I have the opportunity to reach out my hand and give what I can to help make their lives better, their relationships better. There are several books I loved reading, but one stands out… Daniel Siegel’s Mindsight. This book opened my eyes to the combination of attachment principals with neurology and Buddhist philosophy in a new way. Daniel Siegel’s term of mindsight has to do with paying attention to our internal world, to be aware of our thoughts, our feelings, our sensations, and also to be able to be aware of the internal world of others. It is based on empathy and compassion… towards others and oneself. Reading this book has reminded me of the importance of being kind to myself, to take care of myself and how this is so different from being selfish… quite the opposite, the more we know ourselves and accept ourselves, the more open we are able to be with others, the less judgmental, the more compassionate, loving and generous. This makes so much sense to me. This is how I choose to live my life… in touch with myself, with my feelings and thoughts, and also open and receptive to others’ experiences. There are different levels of impact that we can make in the world and lives of others for the better. Every day in my office, I encounter individuals that are suffering, that are struggling with past hurt and pain. I help them get past it and find different ways of looking at themselves and others. As I work with them, I also work indirectly with their loved ones. For example, I help parents be more emotionally connected, less judgmental, more empathetic with their children as we work on them. I give my patients the kind of safe relationship they have never had, an experience that is life changing and healing. My hope is that I can find a way to get to more people, to give voice to hope, to teach more about the importance of mental health, how to improve our lives, how to take care of ourselves. I can only think of 3…. Is that okay? 1. How much I would enjoy learning! I was always nerdish but not until later in my career did I find a passion for learning and a passion for asking questions. 2. How the way I see things and think would shift… for good and for bad. Creating and learning will never end: Sometimes we have the idea that when we are done with our formal training, we are set. That is far from being true. The more you learn, the more you realize that there is so much to know. 3. How much I would grow and change throughout all this process. My experiences, my education, has taught me to be much more in touch with myself, to be at peace with my past and my present, and to be kind and giving to myself. All this allows me to love others in a deeper way. Life is filled with challenges, difficult moments, times when we feel hopeless or stuck. These are the times that matter greatly because they are the ones that will teach us something about ourselves and our relationship with ourselves and others. Sometimes we have to get to these rock bottom places to shake ourselves up and take a look at ourselves, where we are, how we got here… We can make of each challenge an opportunity: an opportunity to grow, and opportunity to heal, an opportunity to be better. It is from those moments that we learn the most and grow the most. I would love to be able to provide good quality information with the latest research and evidence-based techniques and resources to people regarding mental health and relationships from a perspective of empathy, compassion, and kindness. I would love a movement of awareness of mental health to help stop this epidemic of violence which stems a basic sense of loneliness that leads to depression, anxiety, and rage. People need to understand the importance of relationships… of healthy relationships and how to foster these in a clear, simple way. Usually there is a gap between individuals and researchers and/or doctors because everything seems too complicated. I would think that people need simple easy to understand and practical guidelines. My hope is that his could be expanded to schools and institutions that take care of our children. I would love to have breakfast or lunch with Oprah. I admire how she was able to spread her message to so many, to be able to have a positive impact in the world. I love her energy, her enthusiasm, her curiosity, and her gaminess. I also admire her as a businesswoman. I would love to talk with her about my wish to be able to reach more individuals and spread my message about mental health and relationships.